The first thing to do is read the essay topic carefully. It will be given to you on the computer monitor. To write a good essay,you must know what the topic asks you to do. You should know how to address the writing task. You must write on the topic. If you write on another subject, you will receive a O. Pay attention to the task. There are four essay types on the TOEFL. The most common essay types are agreeing or disagreeing and stating a preference. It is more likely that you will get one of these essay topics to write, but you could also be given one of the others. You must know how to recognize the tasks in all four types. The tasks in making an argument and giving an explanation are similar. Your approach will be similar. 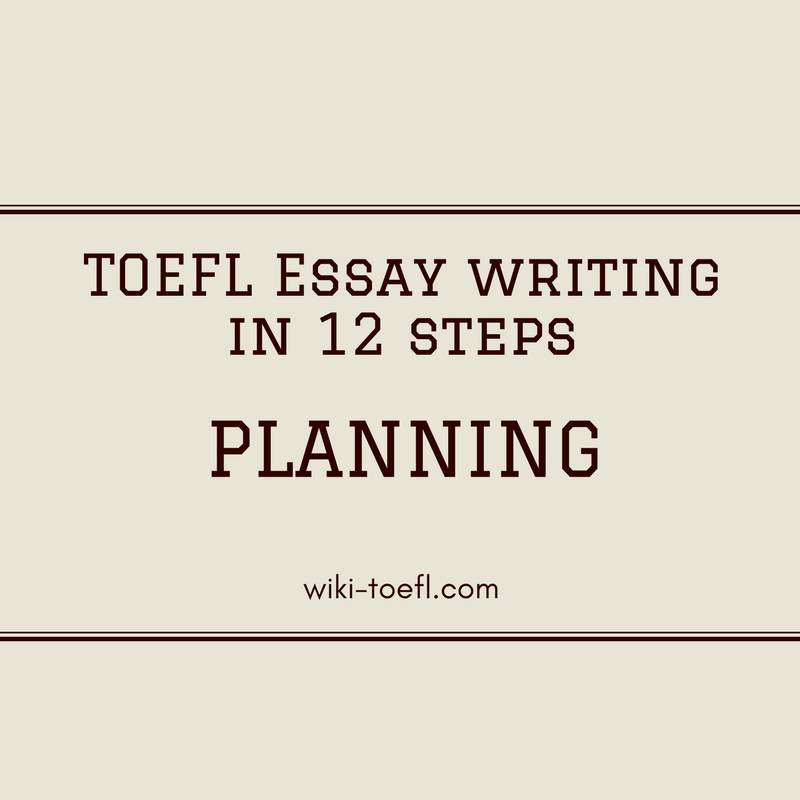 Toefl writing: Do you support building a high school in your neighborhood? Toefl writing: Why do you think some people are attracted to dangerous sports? Toefl writing: What do you think are the best ways of reducing stress? change would you make? Use reasons and specific examples to support your answer. State a preference In this essay, you must discuss both sides of an issue. You will be asked to compare and contrast both sides. You may be asked to give the pros and cons, the advantages and disadvantages of something. You must also state your own personal preference and give reasons to support your choice. opinion, which source is more important. In order to write a good essay, you must clearly state your thesis. Every essay must have a thesis. The thesis is the main idea of your essay. A thesis statement focuses the direction of the topic and helps the reader understand what you want to say. It tells the reader what your topic is. Look at these example topics to see how different thesis statements can come from the same topic. Topic :You have been told that,dormitory rooms at your university must be shared by two students. Would you rather have the university assign a student to share a room with you, or would you rather choose your own roommate? Use specific reasons and details to explain your answer . Thesis statement A: Since I do not get along well with many people, I prefer to choose my own roommate. From this statement, we can presume that the writer will discuss why s/he has difficulty having friendly relationships with people. Thesis statement B: The opportunity to meet new people is an imp011ant benefit of a university education, so I believe it is better to let the university choose my roommate for me. From this statement, we can presume the writer will discuss the benefits of meeting new people at a university. Regardless of its shape, each concept map has three components: the thesis statement, some general ideas, and some supporting details. As a rule, you should try to have three general ideas per essay and at least two supporting details per general idea. This will vary according to your topic and the way you choose to organize your topic.